At ElcLoans our fast service helps users find emergency loans for short and medium-term repayment, and the process can be completed entirely online! It can be an extremely stressful when you need cash quickly, especially if you don't have savings and have been refused everywhere. 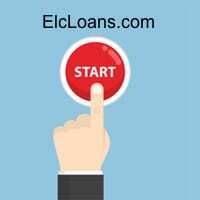 This page further explains when you might need such loans, how they work and how you can easily apply for one. 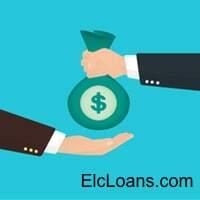 Emergency loan is the loan that can be deployed quickly to those in need, without having to fill out piles of paperwork or wait for days for everything to be finalized. Our fast and simple service is ideal for those that need between $100 and $15,000 and do not have access to savings, credit cards or other funding sources. The loans you could find are suitable for almost any purpose - from home or vehicle repairs and travel funding, to covering unforeseen utility and medical bills. See below for further examples of who we cater to. You could borrow between $100 and $15,000. 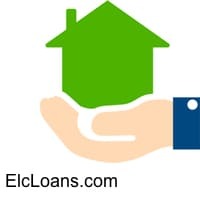 Simply choose how much you need when using our easy loan request form and if connected and then approved by a lender, you will be informed of the repayment schedule and how much interest you'll be charged before signing the contract. What's more, all loans are unsecured - meaning you don't have to pledge anything valuable as collateral. To top it off, if you apply during working hours you could see emergency cash in your account in as soon as one business day, allowing those in a dire situation to finally breathe a sigh of relief! The last thing you want is over the top eligibility requirements. Fortunately, all you need to use our service is being a legal resident of the United States, who is over the age of 18. You must also have some source of stable and verifiable income (job or benefits). Other than that, anyone is free to use our service. Note: Some lenders from our network may ask you to choose a general reason for why you are applying for a loan, but they do not enforce any restrictions on how it is spent once you receive the funds. Warning: Those with a poor credit rating who have been rejected by banks and other lenders often fall into the trap of searching for "no credit check" loans, which are usually advertised online. These are not genuine, as no reputable lender can extend you credit without properly assessing your circumstances. Having bad credit is not an automatic barrier to applying for a loan through our system. Our direct lenders believe that even those who have struggled in the past deserve access to emergency funds. Therefore, they will fairly assess all applications that meet the basic requirements above. So, if you are connected, they will perform some kind of credit check, even if it isn't via one of the major credit bureaus. However, they take in to account many factors (such as your income status and other info you provided in the application) when making their decision. Loans for unemployed people might be used for rent and to generally tide you over when you're between jobs or have been forced into unemployment due to sickness or injury. You will still usually be required to have some form of income, be that from income protection insurance, disability payments or another verifiable source. However, the usual barriers to credit that the unemployed face may not apply. 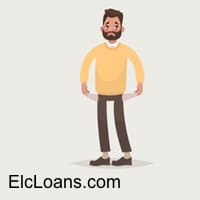 A common use for an emergency payday loan is to cover rent during months when you have gone over your budget and won't have enough money until you're next paid. It is never a good idea to get behind on rent because after a certain amount of time your landlord has the right to evict you. You'll also want to remain in their good books, so they can give you a reference in the future as a timely payer of rent. If you're struggling to pay rent long-term, an emergency loan might not be the best solution, but if you're just a bit short, it can be a very helpful lifeline. Our lenders can also provide loans for your home if you have urgent repairs to make or need funding for home improvements and renovations. For example, in some cases you may seek to use a loan to improve your home, so you can sell it for a higher price. In other cases, you may be in a true emergency after bad weather and need to repair the damage that your insurance hasn't covered. Either way, our lenders can offer up to $15,000 to get the job done. Just as you might have a temporary cashflow problem in your personal life, you might also have a cashflow problem in your business. Perhaps you need to pay a supplier but are still waiting for payment from a client? Or, maybe you're looking to expand but don't have the cash upfront? While the lenders in our network don't specifically tailor loans for businesses, there's no reason why you can't use one for those purposes. As with any loan, you just need to be sure that you can make the repayments! 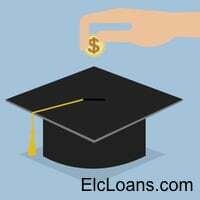 Similar to business loans, our lenders do not provide a specific package for students, but if you are over 18 years of age you can still get a loan. Perhaps you are living away from home and have spent that term's funds or you are struggling with the month's living budget and desperately need books and supplies. If you can't turn to your parents and have no other options, you may seek out a loan. You will still need some form of income, but students are not automatically rejected. If you are looking for loans directly from lenders, then you have come to the right place. Our service will attempt to connect you with at least one lender from a network of over 100 and you can then go on to complete their application easily online. We are not a lender and do not make any decisions. If you are connected, you will be dealing directly with the lender. Our service streamlines the borrowing process by immediately tapping you into a large network using one simple form. Most people on benefits believe they are not eligible for loans, but the lenders in our network will use the sum of your benefits as a replacement for income and might still make you an offer if they believe your financial situation is sufficient. Benefits might include your pension, disability, and income supplementation. Income protection insurance payments might also be considered. No, payday lending is regulated at the state and federal level, and there are is no provision to jail anyone who defaults on their loan. However, you will be subject to collection proceedings, which might include emails, letters, phone calls, and doorstep visits by the lender or their agents in an effort to recover what is owed. You may also be subject to legal proceedings, but these cannot result in your jailing unless associated crimes like fraud have been committed. Yes! While nobody is guaranteed a payday loan, those with bad credit will have their applications fairly assessed by the lenders in our network and will not be automatically disqualified based solely on their credit score. Other factors include your employment and income details and the other info provided on the application. What do you need to take out a payday loan? To take out a payday loan via our service you need to be at least 18 years of age and a legal resident of the US state you are applying from. Lenders also require you to have a stable source of income and a basic checking account for the loan to be deposited and repayment taken. These are the basic requirements, as individual lenders might have their own internal approval criteria and may require you to attach documentation to support your financial situation. To get started, pull up our loan request form and fill out your contact details, financial and employment information, and banking info. We will then do our best to connect you with a lender from the network. Can I get a loan without bank account via your service? Unfortunately, you will need some kind of checking account in your name to obtain a loan via our service, as the funds will be deposited by the lender into this account and the repayments automatically taken on the agreed dates. The vast majority of people who are eligible for online loans are also eligible for a basic checking account and you can easily sign up for one online if you don't currently have one. Do you need a credit check for a payday loan? All the lenders in our network reserve the right to carry out some form of credit check, though this might not necessarily be from one of the big three agencies. A credit check helps to verify your identity and determine your eligibility. 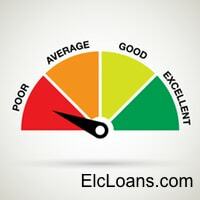 Like any form of credit, the big rating agencies reserve the right to include a payday loan on your credit report. The fact that you applied may also be noted as part of the lender's credit check. If you are accepted by a lender and successfully make repayment, there will not be any negative repercussions on your credit score. In fact, it may be deemed in a positive light - i.e., you have demonstrated that you can borrow money and repay it responsibly. Is it possible to get an emergency loan on the same day? 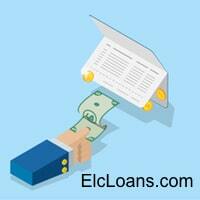 If you are approved and accept a loan from one of our lenders, the speed at which you receive the funds can vary. However, all aim to get you the money within one working day, which is generally quicker than traditional lenders. When applying for a loan you must consider the weekend and any bank holidays when banks may not be in operation. Getting started is easy, just head over to our loan request form, choose how much you wish to borrow and enter the required contact and personal details. Note: We are not a lender ourselves - rather we help you get access to loans online from direct lenders in our network. By providing your details via our simple web form, you do not have to waste time contacting each lender one by one. The streamlined process ensures you get your emergency loan as fast as possible. What's more, our service is completely free of charge! If we are able to match you with a lender, you will be directed to their page where they may ask you to provide a few more bits of information before processing the application. If you are approved by the lender and they make you an offer, you are free to read the terms and conditions prior to signing the agreement and can walk away with no obligation if you change your mind.